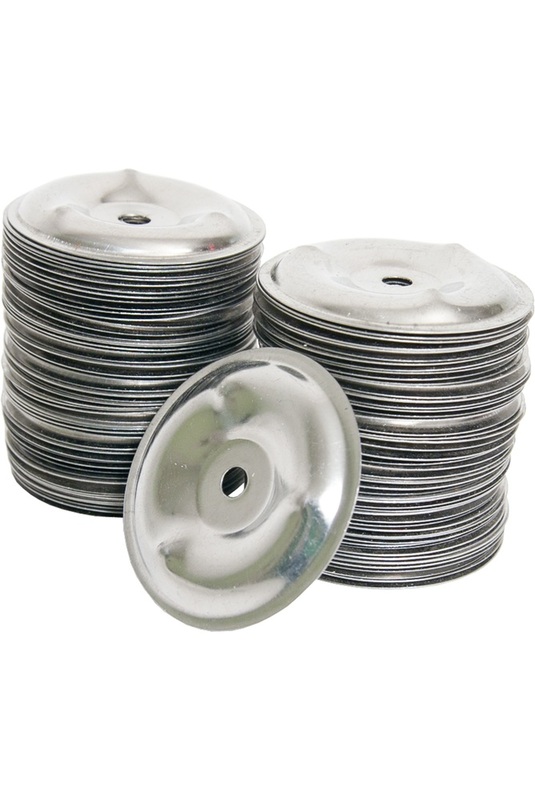 Nickel plated steel jingles (approx. 1.5" diameter) used on our featherweight tambourines. One hundred in a package. 1.5" x 1.5" x 0.3"
This product is shipped from our warehouse in Melbourne, FL, USA. Product codes ending in "-1(S)" or "-2(S)" are blemished. These products are new and unused with superficial blemishes that may include, blisters in the finish, scratches, dents, stains, discoloration, rust or pitting on metals, imperfect glazes, non-structural repairs such as putty in nail holes, or other surface marks. "-1(S)" product has minor blemishes and "-2(S)" product has moderate blemishes and/or minor repairs. The irregularity does not affect the playability or sound quality of the instrument. Product codes ending in "-3(S)" and "-4(S)" are also new and unused, but came to manufacturer needing repairs. If it's a "-3(S)," the product has been repaired, but if it's a "-4(S)," it will still require significant repairs when received by the customer. Product codes ending in "PROP" are unable to be played and are for display purposes only. For safety during shipping, the manufacturer don't tune the instruments before sending them to customers.